During a divorce, you and your spouse may become caught up in disputes about money and property. You may also have lingering feelings of anger, betrayal, and hurt. However, when it comes to custody agreements, you have to set aside your concerns, and put the needs of your children first. There are many legal and practical considerations that must be taken into account before a custody order is entered by the court. Below are some factors you may want to consider before you talk to a Roanoke custody lawyer. Your lawyer will be able to help you navigate these issues. Your child is sure to have many extracurricular activities they participate in, which may conflict with the visitation schedule you devise. This is of particular concern if their extracurricular activities require your child to travel out of town to compete or play in games. If your children are still toddlers, these conflicts in your visitation schedule may still be long off, but they need to be discussed when creating your visitation arrangements. Family vacations are another factor that may conflict with the ongoing agreement. This not only includes going on vacation with mom or dad—but even going to stay with grandma and grandpa for the weekend. A female Roanoke divorce attorney can help you put language into your agreement or a court order that gives you the flexibility you need for your vacations, but also helps you deal when your ex wants to take the child on vacation. Birthdays are your children’s special day, so you and your ex will need to discuss how to celebrate each child’s birthday. 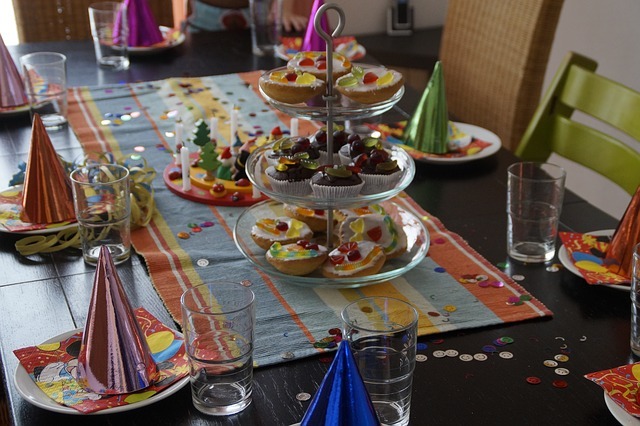 This could include having a family birthday party where everyone is invited, or having separate parties for each side of the family—and maybe even a party with their friends. Keep in mind that birthdays are not about the parents, but about what would make a child most happy. It may not make sense to force a child to split his or her special day between two homes. Instead it might make more sense for one parent to have a child on his or her birthday, and the other parent do something special later. Holidays are often a difficult time for your children, you and your ex, and your immediate family because you are accustomed to spending the holidays together. A Roanoke divorce and custody lawyer can help you brainstorm ways to reach a fair agreement, while keeping holidays special for you and your children. Above and beyond your child’s extracurricular activities, they will also have a social calendar. This could include their best friend’s birthday falling on your weekend, being invited to a slumber party, or a play date during your time together. Even though you are sure to cherish your time together, it can be quite challenging balancing your time together—while allowing your children to have their own social calendar, and increase independence as they enter their teenage years. If either you or your ex travels for work, you will also have to adjust your visitation arrangements around your professional travel needs. Even if you are only required to travel a handful of times per year, you will need to consider how you will communicate your professional travel time—or who the acceptable babysitters are while you are gone; such as grandma and grandpa or a nanny. Your Roanoke custody attorney will help you to discuss a reasonable amount of flexibility to accommodate the inevitable life changes that will affect your visitation arrangements. If you are looking for a custody attorney in the Roanoke area, reach out to Nanda Davis today at 540.400.6889.